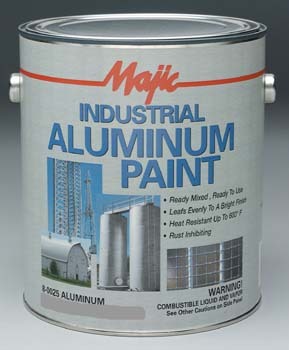 Paint Store :: Shop by Brand :: Majic Paints :: MAJIC 00255 8-0025 INDUSTRIAL ALUMINUM PAINT SIZE:5 GALLONS. XIM 11445 400W ES VOC COMPLIANT SPRAY WHITE PRIMER SEALER BONDER SIZE:16 OZ. SPRAY. DAP 21276 FINISHING PUTTY NATURAL OAK SIZE:3.7 OZ PACK:6 PCS. 3M 88611NA 9" X 11" P220C GRIT 235U GREEN PRO PAINTER SANDPAPER PACK:15 PCS. RUSTOLEUM 209686 SATIN CANYON BLACK AMERICAN ACCENTS CRAFT & HOBBY SPRAY ENAMEL SIZE:2 OZ PACK:6 PCS. ABSOLUTE COATINGS 70013 POLYCARE HARD SURFACES FLOOR CLEANER SIZE:1 OZ. PACK:12 PCS. FLOOD FLD144 CWF-UV5 OIL CLEAR TINT BASE 350 VOC SIZE:5 GALLONS. 3M 2090-.75A 3/4" X 60YD BLUE PAINTERS MASKING TAPE FOR MULTI-SURFACE S/W PACK:48 PCS.